Q)What did you think of the comments that Jamal Adams made about the Jets being unprepared for Baker Mayfield? Bowles: He misspoke. He didn’t mean it, and he’s a young player. Part of having a young player as a leader, sometimes he’s going to have growing pains. It’s a teachable moment, he understands that and we talked about it. Q)What did Adams mean with his comments? Bowles: I don’t even want to go into it, but it’s just making excuses. I’m not trying to make excuses. Q)Is it a bad look for one of your star players to say that the team wasn’t prepared? Bowles: It’s not a bad look. It’s a young player, I know what he meant. Our team knows what he meant, and we moved on from there. It’s not a bad look, it’s part of a young player getting older and dealing with the media. He’s going to have some growing pains, but we’ll work through them and he’ll be fine. Q)Is this incident with Adams similar to the one in the offseason regarding his comments about the team’s motivation last season? Bowles: He’s still a young player. He’s going to make some mistakes. This won’t be the last one he makes going forward, but he understands where he is and I understand where he is and I’m fine. Q)Were you upset when you first heard the comments from Adams? Q)What was your first reaction to Adams’s comments? 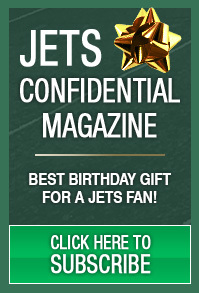 Bowles: I didn’t have one. Q)Do you feel that the players were prepared for Mayfield? Bowles: We’ve moved on to Jacksonville. I’m not talking about Cleveland. 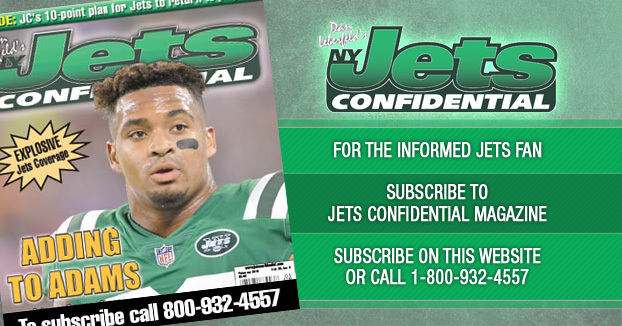 To subscribe to Jets Confidential Magazine, click below, or call 1-800-932-4557 (M-F, 9-5). So much stuff about Gang Green you won’t read elsewhere.